"We're skipping the Basque coast," said Stewart. "And heading to Vitoria-Gasteiz instead." This was just the kind of phone call that makes me nervous when I have travelers roaming Spain. "Barbara read an article about a 13th century cathedral that's being renovated there," Stewart explained. "They're giving hard-hat tours. We have to see it." Vitoria wasn't on my radar when I mapped out their plans. But Stewart and Barbara Sims had been to Spain many times. They wouldn't exactly be missing out on the Basque coast––they'd already been there. They're excellent explorers. If Vitoria sounded good to them, well, I couldn't wait to hear more. Just in case, I called my colleague Carmen Romo in Bilbao. She has booked lots of special things for my Journeys, but never a trip to Vitoria. Turns out she's been holding out on me. She approved of the escapada. "Vitoria? You'd love it, Teresa," she said. "It is pretty, but real. Walkable, too." Alex Raij, the chef-owner—with her Basque husband, Eder Montero—of Txikito in NYC, loves Vitoria too. It's a well-kept secret, she tells me, smack in the heart of the Rioja Alavesa wine region. "One of those places where the traditions of good ingredients and good eating go way back." 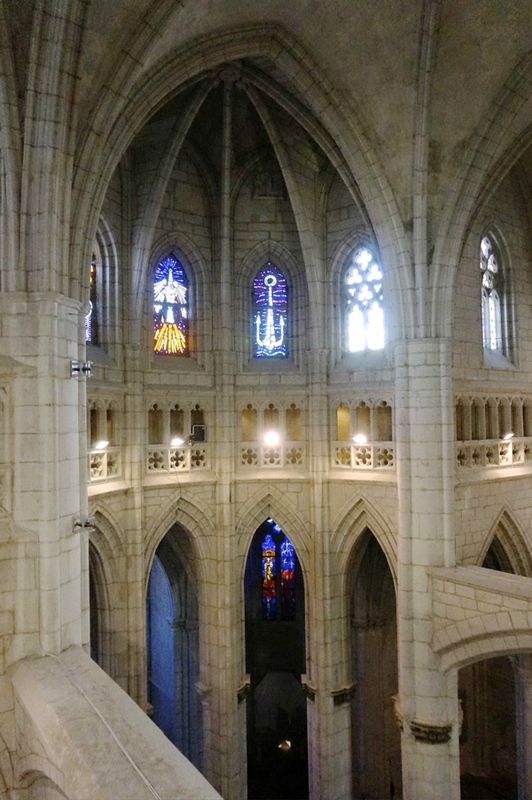 Before they hit the road, they went online and booked their hard-hat tour on the Catedral de Santa María website (you have to book for specific times, which vary by day). Once on the road, they loved Spain's well-built highways and found the drive easy. However, "Tommy," their GPS, was prone to confusion. I recommend Michelin's Zoom regional maps—for this region track down map #144. They found the town appealing in just that "pretty but undiscovered" way Carmen had described. In places like this, shops are closed at lunchtime. 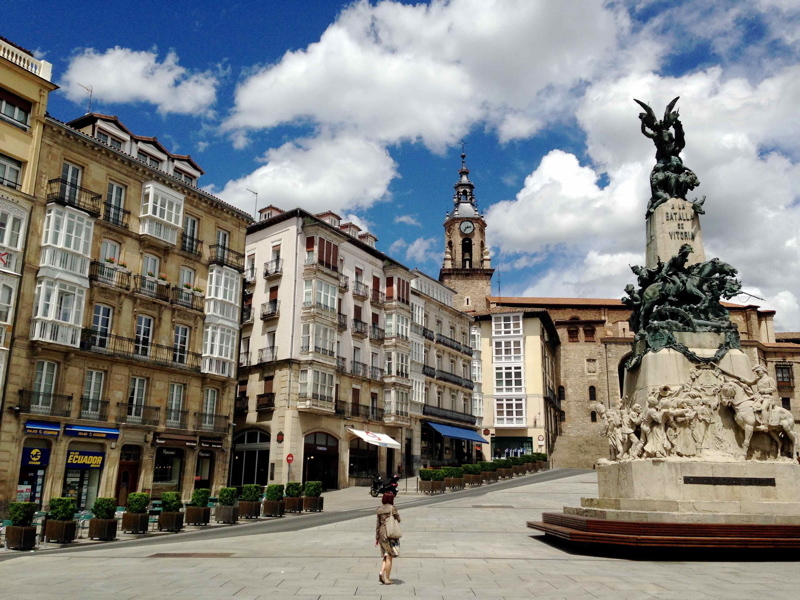 To get a better sense of the vitality of Vitoria, arrive before 1:00pm or stay after 4:00pm. If you are in town mid-day, you can always do what the locals are doing: eat. 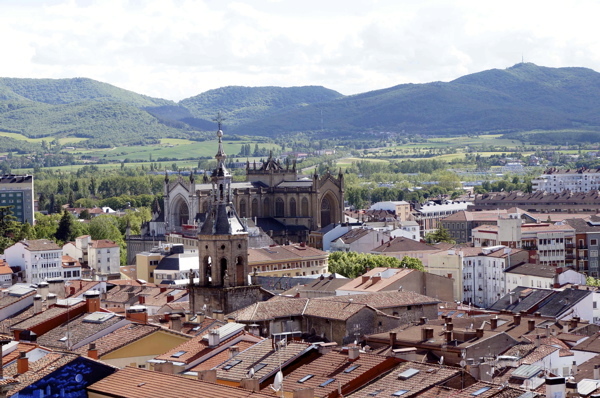 Vitoria has been named the Gastronomic Capital of Spain for 2014. If you're a Spanish-speaker, you'll want to read a report on that in El País. At the least, put these in your little black book: Zaldiaran (has a Michelin star), PerretxiCo (top pintxos bar in all of Spain, 2011), El Portalón (historic, next to the cathedral), and Ikea (part of the regional Slow Food movement—and no relation to where you buy your household stuff). Being industrious, or just too-well-fed after two weeks in Spain, Stewart and Barbara made a bee-line for the tourist information center in Plaza España, got a book of walking tours, and climbed the hill from the Plaza de la Virgen Blanca to the Cathedral. 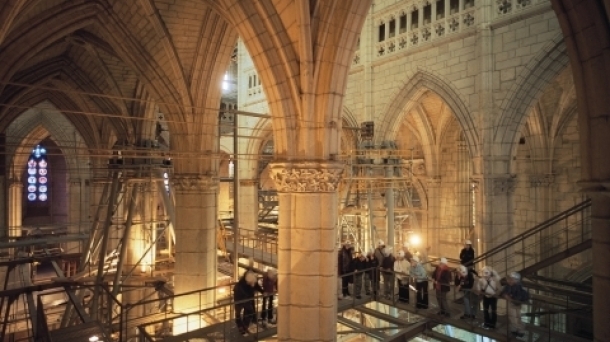 The restoration revealed how the cathedral was built into the city's earlier defensive walls. And the tour delves into the adventures of the 15th-century engineers who expanded the pre-Gothic church into a full-on flying-buttressed cathedral without the benefit of bedrock. Stewart recommends reading up on this part of the Cathedral's website. Don't miss going up to the higher stories and tower. There, Stewart and Barbara walked on the town’s ancient walls (now integrated into the second story of the church), in places where Camino pilgrims once stayed (on the third floor), and up into the tower for a great view of the city. Give Vitoria some time. 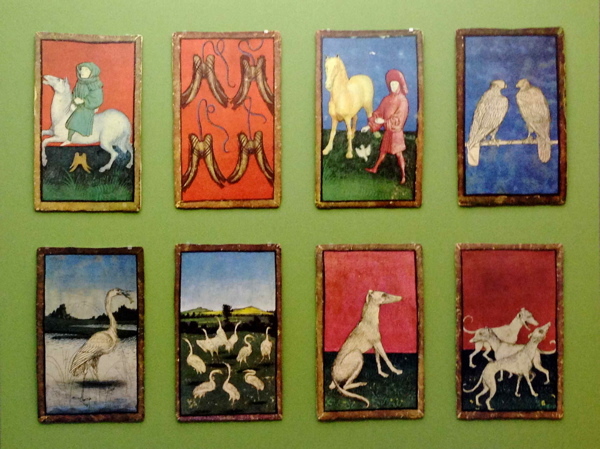 Stewart and Barbara made two stops they wish they'd had more time for: the Bibat Museo Fournier de Naipes, housed in the 16th-century Bedaña palace, with a collection including playing cards dating back to the 13th century: "very cool." And at Casa del Cordón, the 15th-century palace of a Jewish merchant who became a prominent citizen as a converso, the starry ceiling was, they said, "spectacular." Routes, museums, and more at the city's tourism office. Have you heard about my Basque in it project? Vitoria-Gasteiz really is on my radar now, big time. The city is welcoming a special Iberia flight from the US this fall. It's a limited edition flight, the first-ever non-stop hop from JFK to the Basque Country (the airport VIT). It leaves New York on October 4 and returns October 12. Chef Raij will be on board—she's cooking up a special pintxo for the occasion, taking us along as she researches Basque farmstead cheeses, and joining Michelin 3-star chef Pedro Subijana for a cooking class, too. I'm working with my colleague Carmen and the flight's sponsors on some absolutely incredible tours that include Vitoria and the Rioja Alavesa wine country. Plus Bilbao and San Sebastián, of course. And food and wine experiences with the likes of Pedro Subijana, Martín Berasategui, and Eneko Atxa that will knock the socks off of anybody who has ever dreamed of a taste of the Basque Country. The flight and tour combinations are fabulous and offered at seriously good prices. Find out more and sign yourself up at Basqueinit.com.